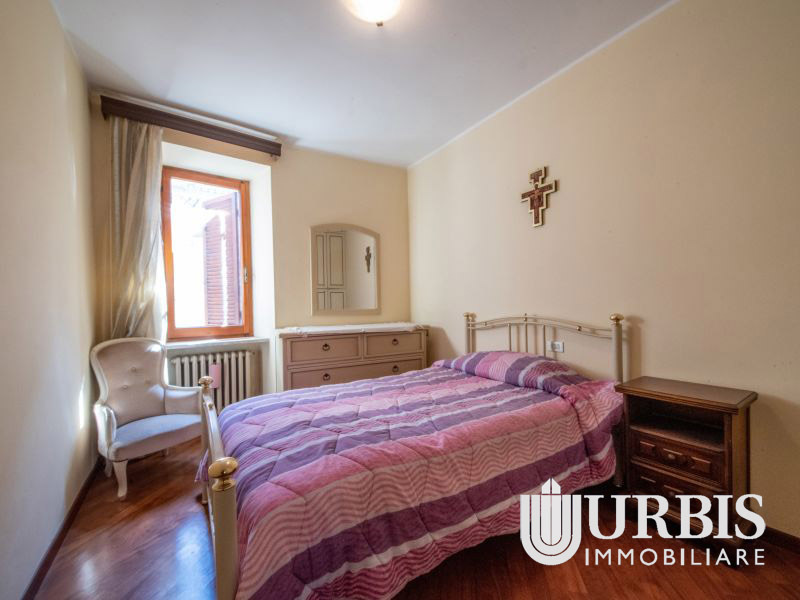 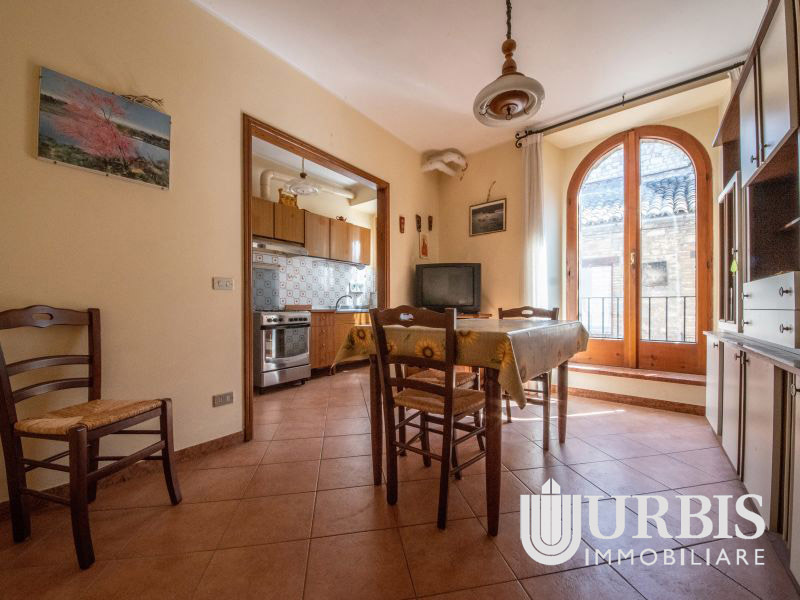 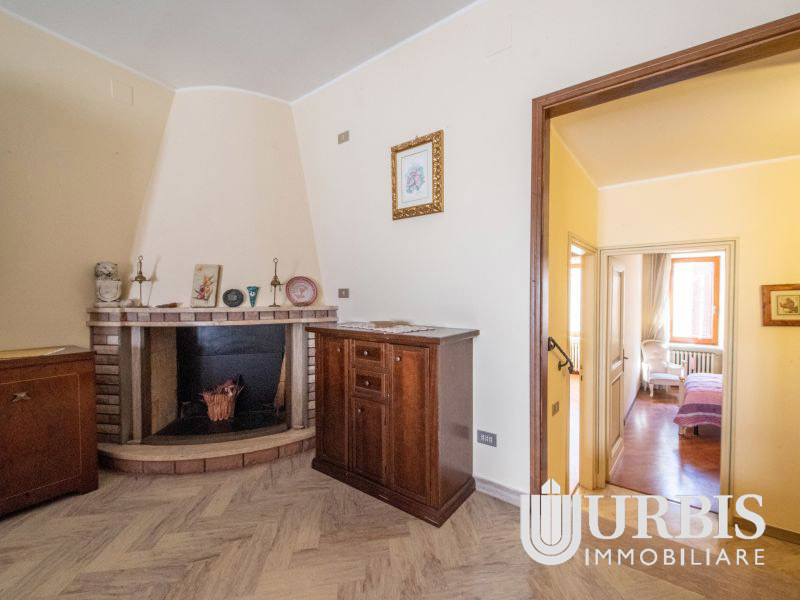 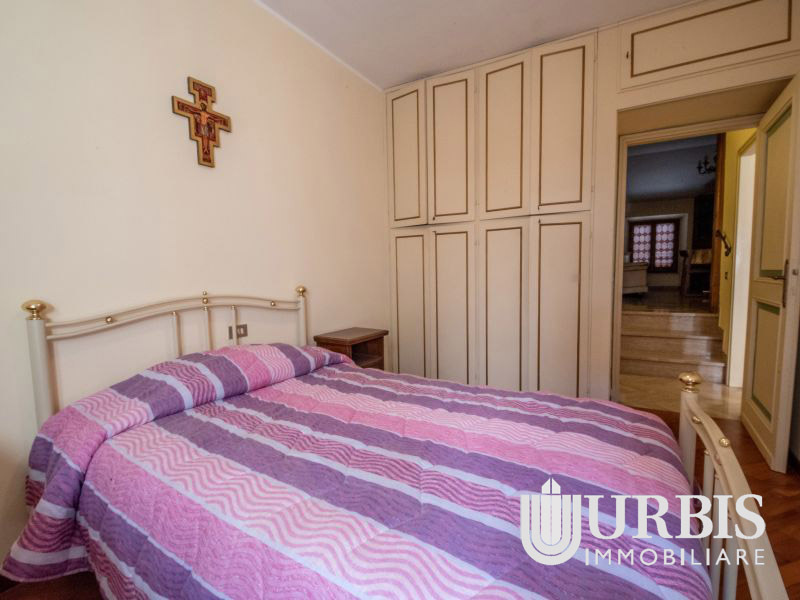 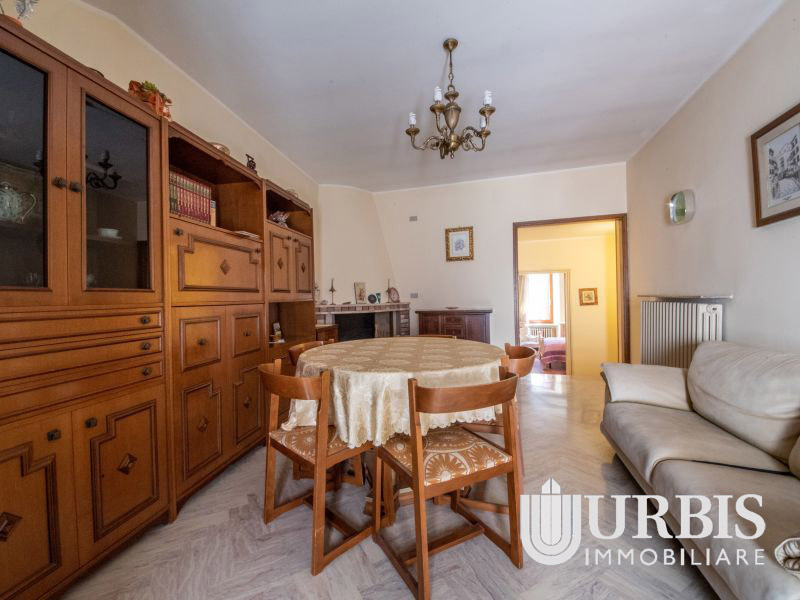 Just a few steps from the Cathedral of San Rufino, 70 sqm flat on the first floor of a larger building rebuilt on old medieval and Roman houses, as witnessed by the significant findings in the immediate vicinity. 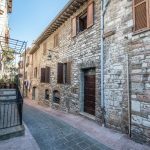 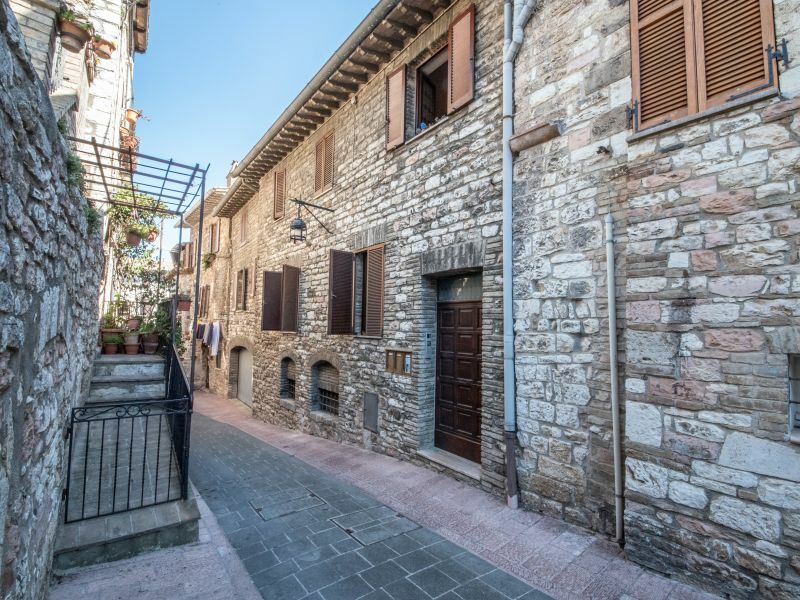 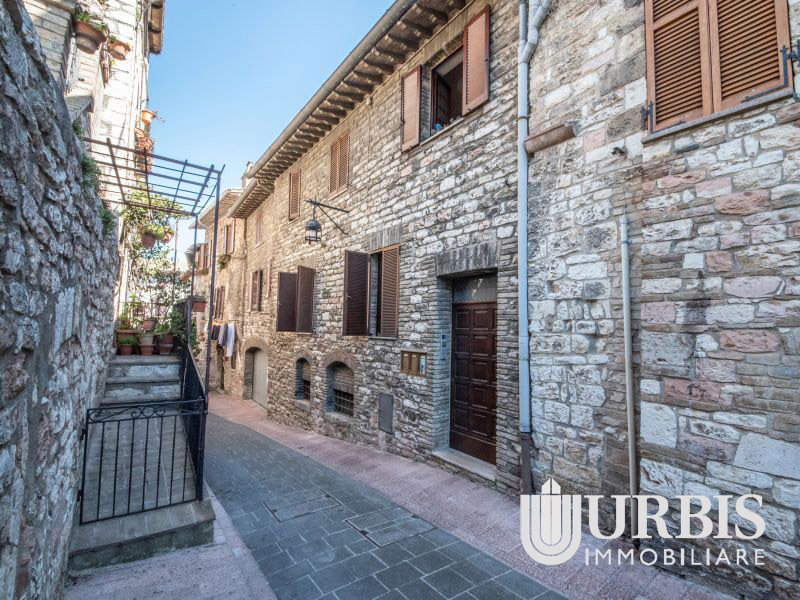 The property is accessed from a common staircase made of the typical Assisi pink stone. 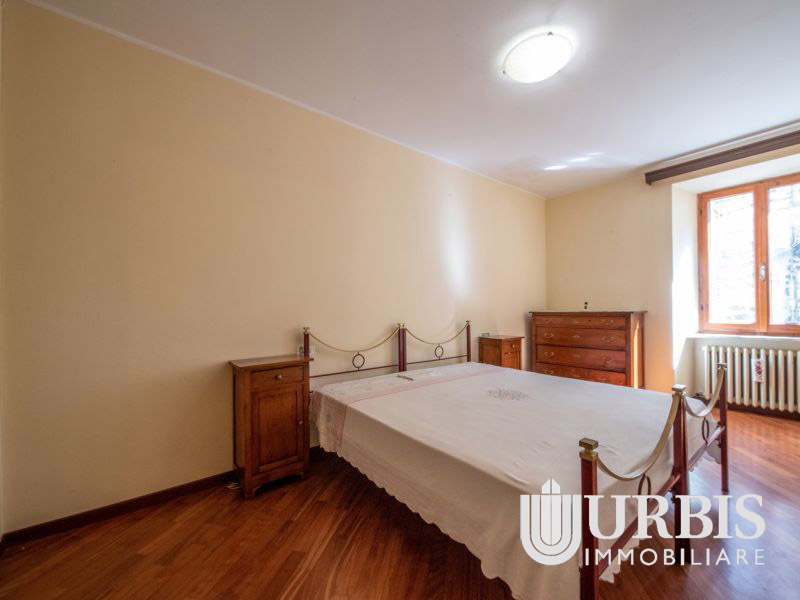 The surface of the flat comprises two bedrooms, a living room with kitchenette, and a bathroom. 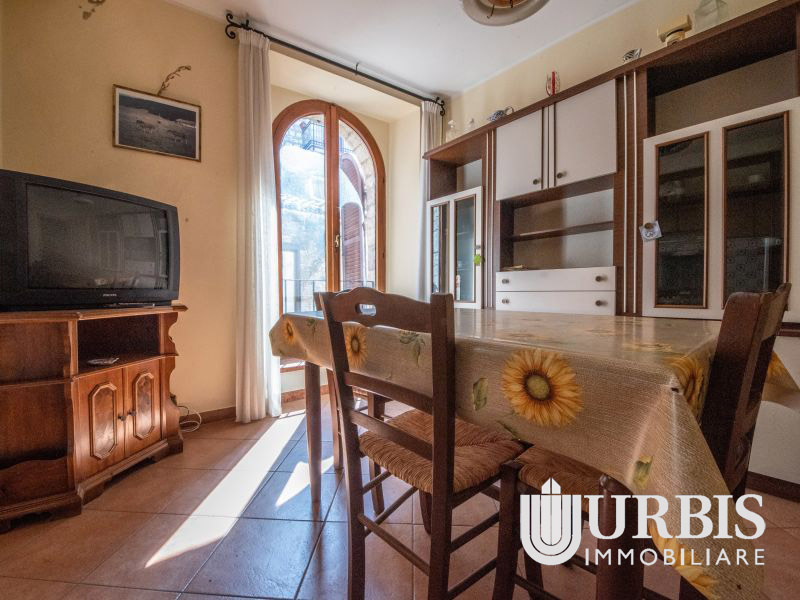 The property includes a parking space in the common garage, as well as a small cellar.